What happens when you wake up one day and realize your website no longer reflects what your company is all about? Naturally, you call Noble Studios and we get you excited about the prospect of breathing life into a brand new website. 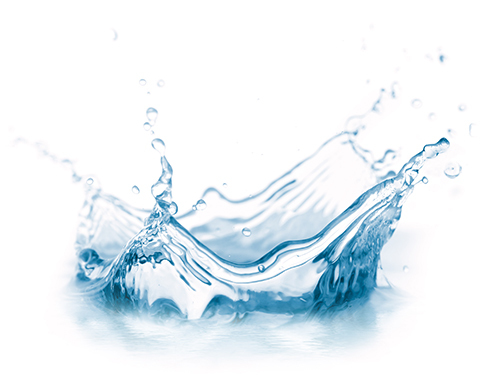 Just ask our client, Haws, a Nevada-based producer of drinking fountains and eyewash stations. Like many companies with aging websites, Haws Corporation began to experience design and content management restraints. Several new product lines simply wouldn’t fit into the old website architecture. Noble Studios conducted research to see how its customers – engineers, architects, plumbers and distributors – were using Hawsco.com. 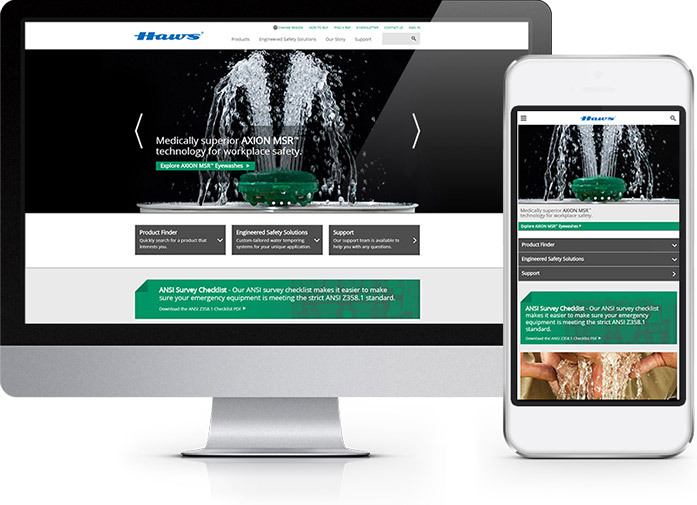 Haws wanted its new site to serve as a lead acquisition tool featuring key information for its more than 400 products. Another goal of the new site was to position the company as a thought leader in its sector. Adding white papers, videos, case studies and details of building and construction codes and certifications to the site would better position Haws as an authority. Our Google Analytics certified team concluded the site navigation was too complicated and website visitors were exploring a limited number of options presented on the homepage. Research also found Haws could really use a responsive website. All of this research guided Noble’s creative team during the new site design. The new site feels more like an e-commerce site with a “how to buy” button, connecting consumers with nearby sales representatives and distributors. Customers now find it easier to find the key products, parts and distributor information thanks to a simplified top navigation menu. Visitors who click on products can filter their options. They can choose the hydration station, for example, and filter by applications, finishes, installation type and more than a dozen features. When visitors click on a product, the site also displays related products, detailed 360-degree views of products and an optional project list to keep track of purchases. By creating a website design and development on a cloud-based content management system, we made it easier for the Haws staff to manage site updates. We start with black and white screens to establish the information hierarchy of the website. We built a fully responsive site that addresses the end user who may be searching for a product at work or in the field. Noble designed robust predictive product search options to meet the needs of a diverse audience. Robust website tracking now lets Haws provide greater value to its customers. Within 60 days of launch, Hawsco.com received a more than 20 percent increase in average visit duration and a 21 percent decrease in bounce rate both on desktop and mobile devices compared with the previous year. The site also showed a 7 percent increase in traffic from mobile devices and a 6 percent increase in the average number of pages viewed per visit on desktop and mobile.